Routeways based in Plymouth, is celebrating after being awarded £2800 worth of funding from The Screwfix Foundation, a charity which supports projects to fix, repair, maintain and improve properties and facilities for those in need. 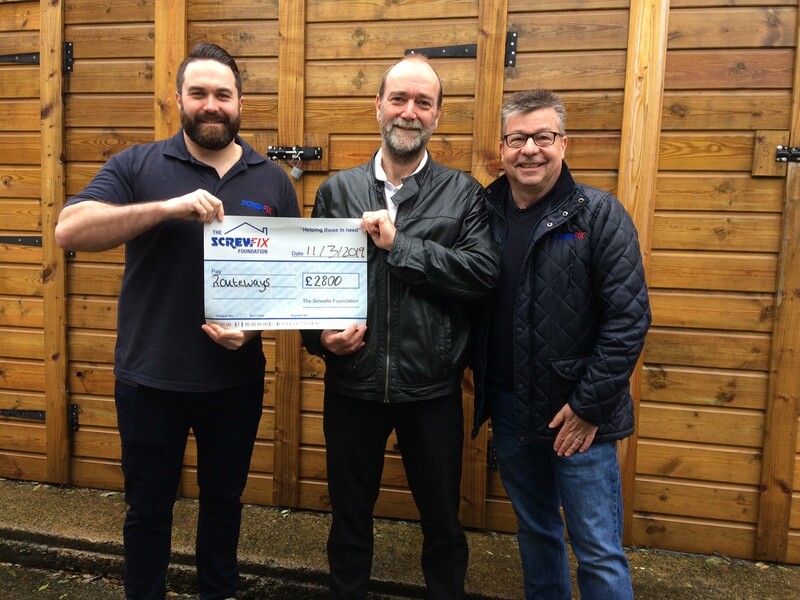 The Screwfix Foundation, which launched in April 2013 donates much needed funding to help a variety of local projects throughout the UK, from repairing buildings and improving community facilities, to improving the homes of people living with sickness or disability. It also works closely with two national charity partners, Barnardo’s children’s charity and Macmillan Cancer Support, as well as supporting smaller, local registered charities like Routeways. Relevant projects from across Devon are invited to apply online for a share of the funding at screwfixfoundation.com.